It’s an interesting question: if you had the choice between being a bestselling author or a Pulitzer Prize winning writer, which would you choose? I like the money that a bestseller would bring in. On the other hand, there are a lot of ways to make money. The Pulitzer Prize is a prestigious award, one of the most prestigious, and prestige is pretty cool too. Don’t get me wrong, I like money more than I like prestige, but I like the idea of a legacy, and a Pulitzer Prize for Fiction would be a good step. You could brag about that. You can brag about a bestseller too, but there are way more bestselling authors than Pulitzer Prize winners. Even though the cover is cool, the book has a hack title. Less is about a guy named Arthur Less, a struggling writer for whom the narrator seems to feel contempt. Book titles with a character’s name seem lazy to me, but this novel won a Pulitzer, so I guess I can’t judge. Still, when it comes to Pulitzer Prizes, I expect more, not Less. This is a great novel about the Underground Railroad, but you’d better know your history before you read it. I feel sorry for the U.S. history student who reads The Underground Railroad and then takes a test in U.S. history class about the Underground Railroad. The history student’s results might not be all that good. As soon as I heard that The Sympathizer had won the 2016 Pulitzer Prize for Fiction, I ran out to the local B&M Bookseller to purchase a copy. I might not ever read The Sympathizer, but I can always brag that I read the book before it won the Pulitzer. After all, I have a copy that was printed before the Pulitzer announcement had been made. I can say I was ahead of the times. I was the trend setter. Yeah, I run the risk of looking like a book snob (and maybe a liar), but people respect book snobs. I’ve written about this book a lot because it was always on the best sellers lists for a while when I did my monthly reviews. 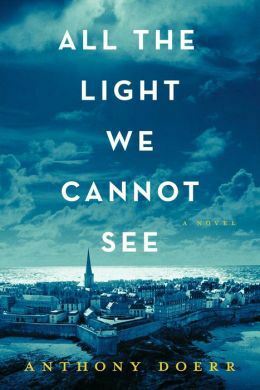 I haven’t read All the Light We Cannot See, but I know a lot of people who have (or claimed to have read it), and nobody I know despises this book. Usually a Pulitzer brings about a ton of extra criticism, but I haven’t seen any post-Pulitzer backlash for this like I’ve seen from other winners (especially The Goldfinchand A Visit from the Goon Squad). If a book can be a long-term bestseller AND a Pulitzer Prize winner and NOT get post-award backlash, then that book must be AWESOME (except saying it’s AWESOME would be setting expectations too high and cause more undeserved backlash). This is what I’m talking about, a polarizing Pulitzer Prize winner that’s been a bestseller for a long time. A lot of readers love it, and a lot of readers hate it. Readers complain that it’s too long, too slow, and has sections that don’t make sense or contribute to the story. Others say the book is brilliant. Being “brilliant” implies that that readers who complain about the book just don’t get it. Readers who complain about it might say they “get” it but it’s not as brilliant as readers who love it say it is. I haven’t read it. By my standards, it’s pretty long. North Korea is a rare setting for a novel, and the author uses a bunch of literary devices to describe all the horrible stuff going on there, so it’s more than just a laundry list of human rights abuses. I don’t like reading about human rights abuses, even when I know they’re fictional. In The Orphan Master’s Son, the orphan master treats his son more harshly than the orphans in his care. That’s how it goes. When I was growing up, a friend of mine’s mom was a teacher, and one year he had to be in his mom’s class for the whole year, and he was miserable because she was always on his case. I’m sure it wasn’t as bad as being an orphan master’s son in North Korea, but still. I respect an award where there isn’t always a winner (or recipient). There shouldn’t always be a winner just because there’s an award available. There should be standards, by God!! 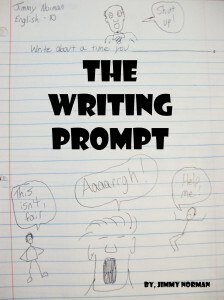 If no novel written in 2012 meets those standards, then so be it. I wish the Heisman Trophy (for college football) had a No Award option. As a writer, you can’t go wrong with a metaphor as a title. As a reader, I can get confused with metaphors because I’m kind of literal. When I read A Visit from the Goon Squad, I was expecting an actual goon squad. I like books with goon squads. I don’t like goon squads in real life because they’re dangerous, but I like goon squads in literature because they make books interesting. Just so you know, there are no real goon squads in A Visit from the Goon Squad. I hope that doesn’t spoil anything. Here’s another polarizing Pulitzer winner. Readers either love it or hate it. Some critics call it poetic, and other say the author tried too hard. I know what those critics mean. In this novel an old man is on his death bed thinking about his life with his family around him. It seems like a common idea. I’ve read books and seen movies with that concept, but Tinkers uses a lot of metaphors regarding clocks and time. Some critics say the author tried too hard to make this book deep, but Tinkers won a Pulitzer, so who cares? If I’m the author and I’ve won a Pulitzer, I don’t care if critics say I tried too hard. Trying too hard shows you care. It’s better than not trying hard enough. Sometimes when a book title is a character’s name, I get confused. Did Elizabeth Strout write Olive Kitteridge? Or did Olive Kitteridge write Elizabeth Strout? Elizabeth Strout would have been a cool fictional name, and Olive Kitteridge would be a cool author’s name. At least when Jane Austen wrote Emma, she didn’t give Emma a last name. If Emma had been given a last name, I might have gotten Jane and Emma confused too. This is the opposite of Olive Kitteridge. Take a character’s name and add a bunch of adjectives to it. Plus, there are tons of pop cultural references in this book. I wonder how it will hold up 20, 50, even 100 years from now. When somebody reads The Brief Wondrous Life of Oscar Wao in 2108, will readers be turned off by all the references that are no longer in the cultural lexicon? That’s the thing about being a Pulitzer Prize winner; it’s forever. At least, it’s forever as long as people still read books. What do you think? Which book on this list have you read? Is it better to write a bestselling novel or a Pulitzer Prize winner? How many of these novels do you still remember? I haven’t read All The Light but it’s been sitting on my desk for over a year and every time I open it to any page, the writing is incredible. Starting from the beginning though, I’m only on page 56.